* You are going to LOVE this cool Doll Kit! 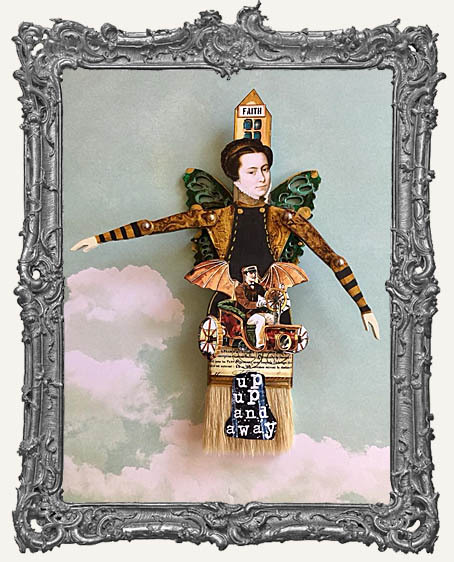 * The doll is made of sturdy 1/8" Masonite and is easy to assemble with just a bit of glue and the included specialty art brads! * Including the brush and wings, the doll measures approximately 7.5" tall x 3" wide. * The arms are fully articulated so you can pose and move them as you wish. You can also use wire or fibers to attach the arms. If you prefer, you can order this kit without arm holes and brads so you can glue the arms in place. Your choice! 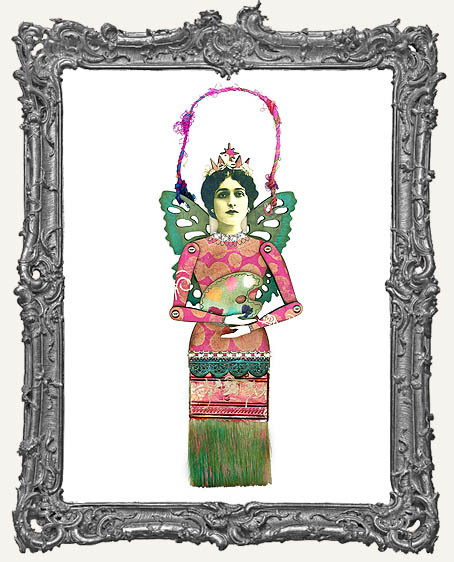 * There are naturally occurring holes in the wings to hang your doll. Or just prop her on a shelf. I hung mine from the door knob of my studio! 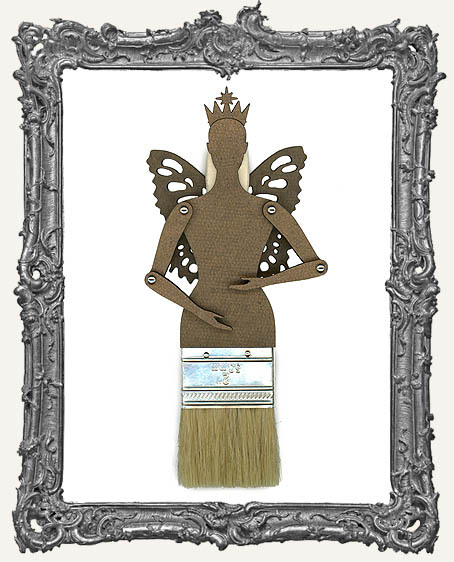 * This kit includes the doll parts, wings, crown, brads, and paint brush! Everything you see in the first photo. * Endless possibilities - Paint, Ink, Distress, cover with papers, embellish, glitter, gild, and much more! These dolls make a great gifts for artist friends too. * Our Medium Doll Head Paper Cuts are perfect with these! * Skinny Paint Brush Doll also available.